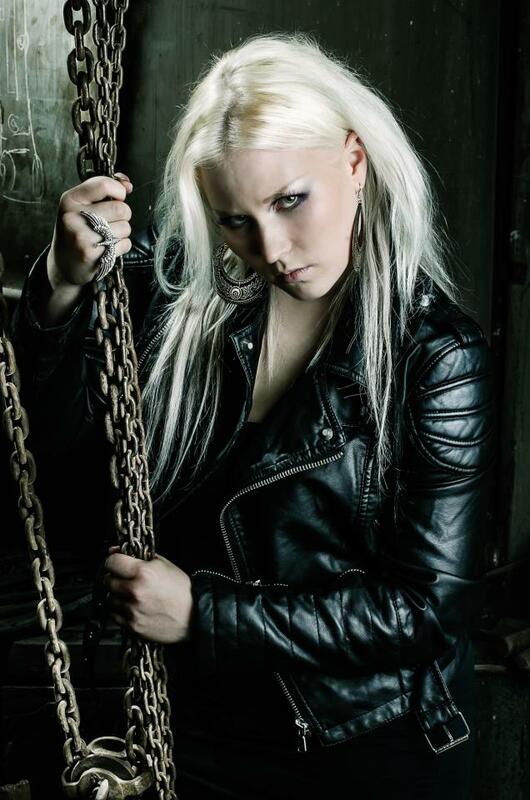 This entry was posted in Metal Chick of the Month and tagged admiral octopus, ann wilson, anton kabanen, battle beast, black ninja, blues, bluesbar, crystal ball, eye to eye, finland, guns n’ roses, heavy metal, henry’s pub, into the heart of danger, janis joplin, let it roar, melodic power metal, nitte valo, noora louhimo, piece of my heart, relax, rock, rock n' roll, satans of swing, somehow jo, soul, tampere, unholy savior, wanna be a rock n’ roll star, welcome to the jungle by Gustavo Scuderi. Bookmark the permalink. What a pathetic, sexist article. Her looks are irrelevant, and since when was chocolate “feminine”? 1- Her looks are an intrinsic part of her performance. Have you ever seen her singing in her sweat pants or a Disney T-shirt? Have you ever seen the metal god Rob Halford wearing shorts and flip flops on stage? Or maybe Behemoth’s Nergal or Cradle of Filth’s Dani Filth without makeup and costumes while performing? I don’t think so… Not only that, I guess I’m allowed to say I like the way she looks. 2- Chocolate is more feminine than masculine, just like beer is more masculine than feminine. Of course there are tons of guys that hate beer and girls that hate chocolate, but IN GENERAL that’s a more-than-accepted fact by our society. If you think my article is pathetic because of that, I recommend this article from Psychology Today: https://www.psychologytoday.com/us/blog/cravings/201410/women-and-chocolate. Maybe that one will enlighten you a bit. 3- Pretty much the whole article is based on well-known facts about Noora + interviews with Noora herself, nothing was created out of nowhere. And besides, there’s one line talking about her looks, one about chocolate, and everything else about her career, inspirations, vocal style etc. Interesting how those two lines made you so angry, but you completely ignored all the rest.